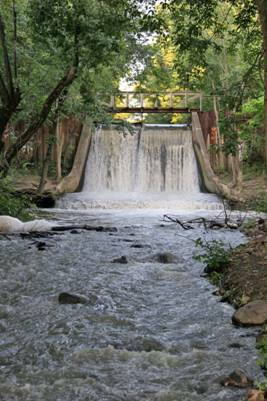 The Henry County Park District was organized in 2005 to become stewards of the land, and help facilitate the recreational and heritage interests for the residents and visitors of Henry County, Ohio. The District- which is all volunteers-has entered into lease agreements with the State of Ohio to lease state owned canal lands across Henry County. In conjunction with the Buckeye Trail Association and the North Country Trail, the former Miami and Erie Canal Towpath is being converted into a hiking/biking trail which is adjacent to the Maumee River. This effort represents the first time the Canal Lands have been cleared and used for the public benefit since the canals were abandoned in the nineteenth century. The trail is part of "The Buckeye Trail"- the longest loop trail in the United States. The Buckeye Trail encircles the State of Ohio and covers approximately 1444 miles. In addition, the trail also part of the "North Country Trail". The North Country Trail is one of the seven National Park Service trailswhich also includes the well known "Appalachian Trail"